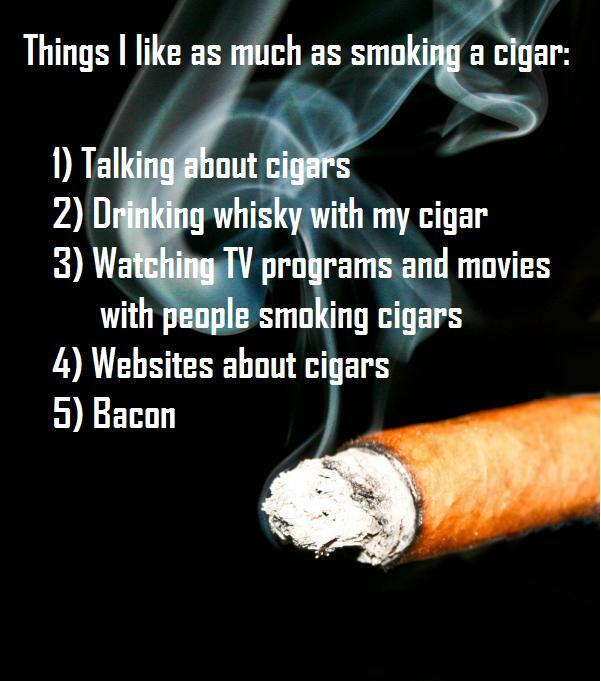 It may seem crazy, but cigar smokers like smoking their cigars! Lighting up and smoking a stogie on your deck on a warm summer’s evening can be very therapeutically relaxing. Puffing on a Nicaraguan puro with friends at the local cigar lounge is pure enjoyment. Sparking up a cigar on the golf course or on a Sunday afternoon stroll makes exercise that much more enjoyable.